Are you ready to reclaim your divinity? Are you ready to tap into it and embrace it? Are you ready to treat yourself like the divine being you are? Good. Because YOU ARE DIVINE! Over the next five days, you will be receiving an email each day to reaffirm your divine self and help you to tap into the beauty of your divinity. meditate on the affirmation "I am Divine,"
and give praise to yourself as you would any other divine being. You will probably cry. But you will be empowered. You will feel more confident. You will gain courage. And you will have a beautiful foundation for your connection with your divine self. I know you are ready. 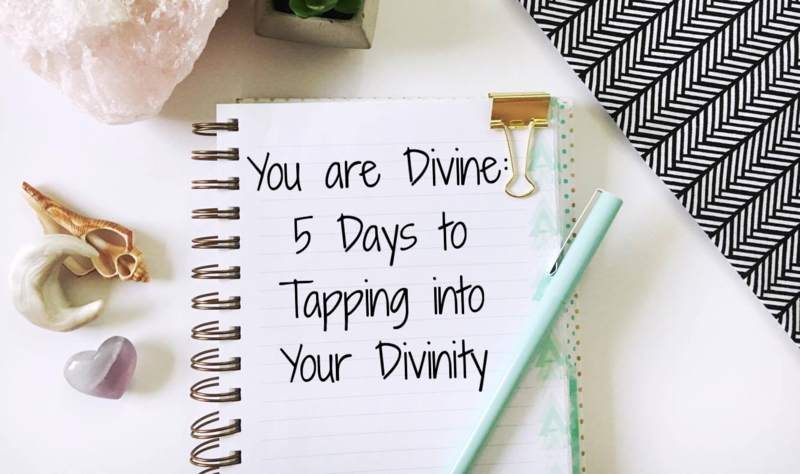 So use the form below to sign up and receive You are Divine: 5 Days to Tapping into Your Divinity. Your information will not be shared elsewhere. Your privacy is important to us. You can change your mind at any time by clicking the unsubscribe link in the footer of any email you receive from us, or by contacting us at contact@shelbymelissa.com. We will treat your information with respect. For more information about our privacy practices please visit our website. By clicking below, you agree that we may process your information in accordance with these terms.